This post has been sitting on my back burner for way too long. I originally made this tart (and took the pictures) when I visited my folks up in the forever gorgeous Door County, WI for my birthday. That was over labor day weekend. I suppose we have been pretty busy, you know, work, life, growing a baby. I kind of get a little forgetful, what with preggo-brain and all. Heat your oven to 350°F and gather together all your ingredients. 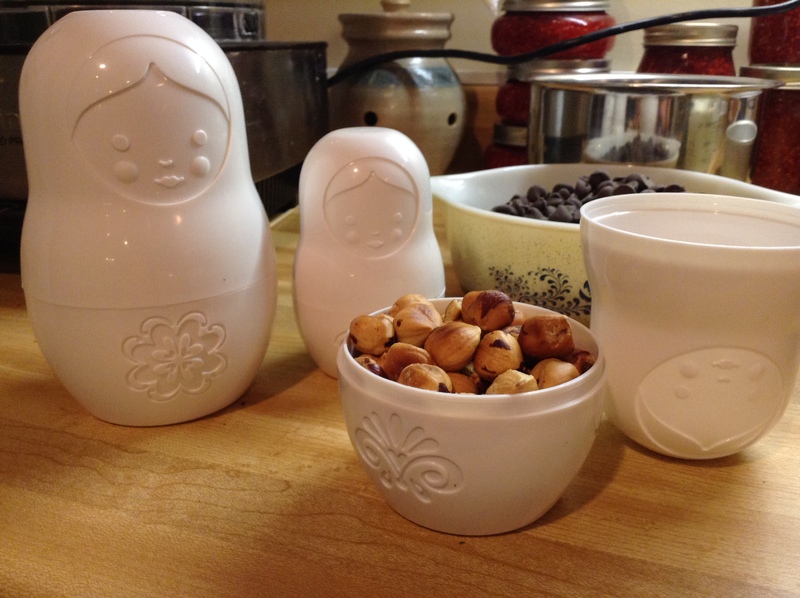 Aren’t these Russian Nesting Doll measuring cups just adorable! They were a present from my parents, and I find they make cooking and baking all the more delightful! Spread out the hazelnuts on a large rimmed baking sheet and roast them in the oven, shaking the pan occasionally, until the skins are very dark, 10-20 minutes. Once they are fragrant, and the skins are dark (but not burnt!) pull them out of the oven. 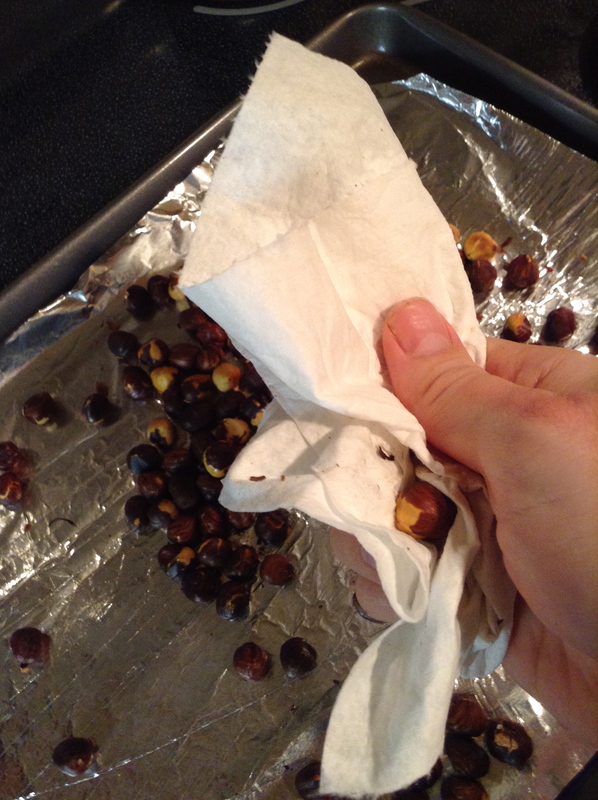 Using paper towels or a clean dishtowel that’s dark in color or you don’t care about (because the skins can stain the towel) immediately start rubbing the hot nuts together in the towel to remove the skins. Add the crushed cookies and melted butter, and pulse until fully combined. Using the bottom of a flat ramekin or measuring cup, press the mixture into the bottom and up the sides of a 9-inch removable-bottom tart pan. Place the pan on the same rimmed baking sheet we used earlier and bake until dry, about 10 to 15 minutes. If the crust puffs up during baking, you can press it down with the back of a spoon or metal spatula. Once it’s reached that point where it’s steaming hot but not yet boiling, add the chocolate chips and 1/2 tsp vanilla and remove the pan from the heat. 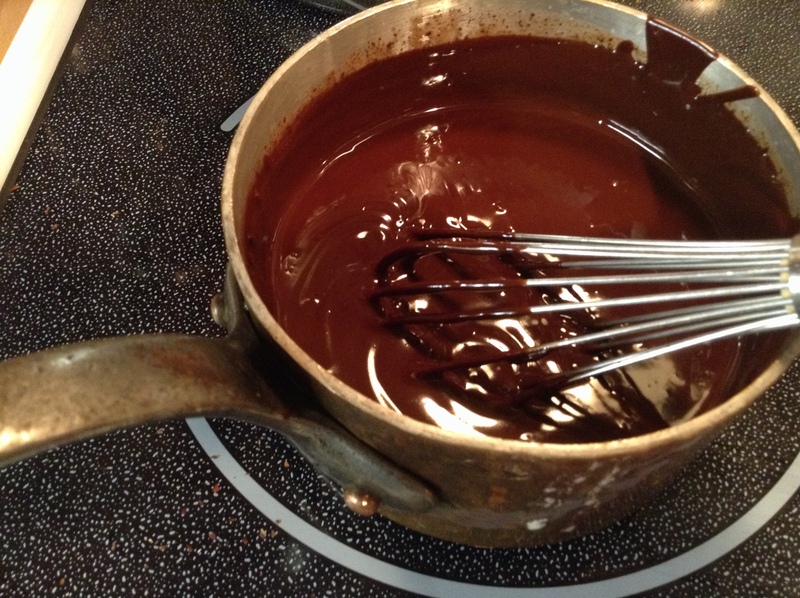 Now just keep whisking until it looks like chocolatey silk. Now to make it fancy! You could just skip this next step and buy whipped cream in a can, but homemade is so stinkin’ easy, and no chemicals, and no weird film on the roof of your mouth feeling. Get out your standing mixer or hand mixer fitted with the whip attachment (hopefully not the hand-crank kind, unless you’ve got muscles like Popeye, or my friend Stefanie who once worked at a place where customer service was unparalleled, and they happened to be out of whipped cream, so she had to make it by hand). 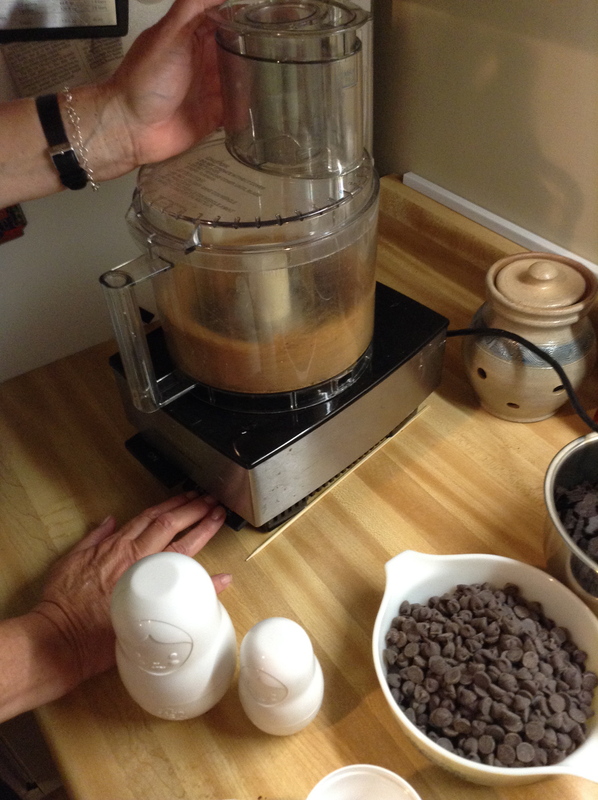 Pour the remaining half cup of heavy whipping cream into the bowl of your mixer, along with the sugar and remaining vanilla. Turn up the speed full blast and let that good old electric motor do all the work. Keep an eye on it, as the cream will only take a few minutes to set. 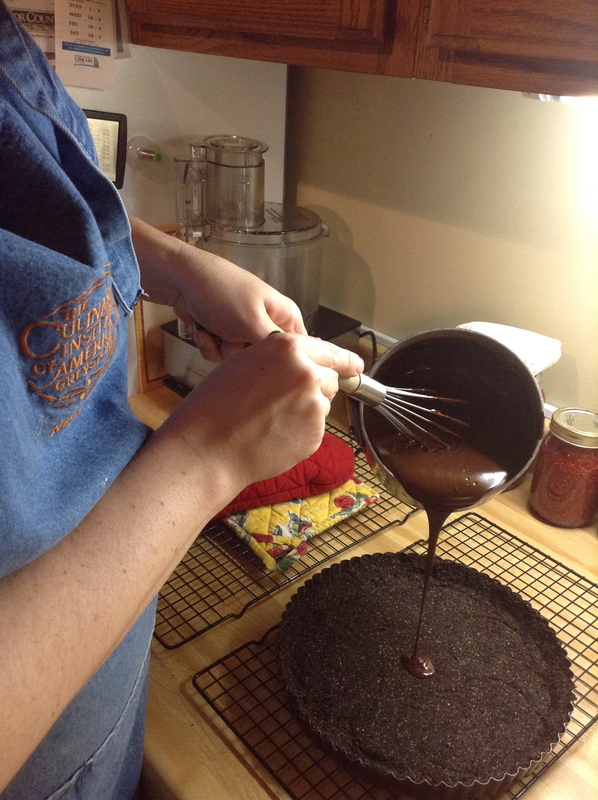 Stopping to scrape down the bowl (with a spatula, not your fingers – I know, so tempting!) is a good idea, as you can check if it’s done while scraping those sides. We’re looking for stiff peaks here, folks. But seriously, don’t walk away from this baby, or you may end up with sweet vanilla butter instead. Chop the remaining 1/4 cup nuts. Remove the cooled tart from the fridge, and pop it out of the pan. 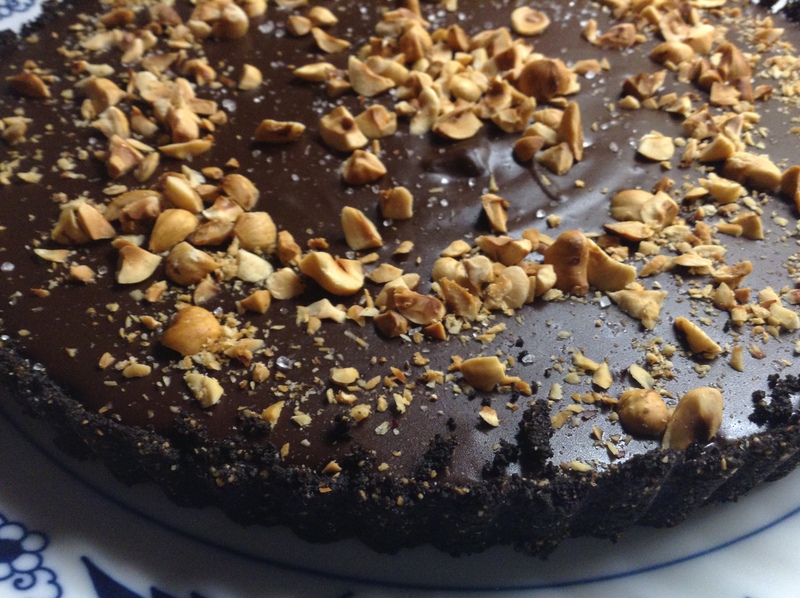 Artistically sprinkle those chopped nuts and sea salt on the tart, however your pretty little heart desires. Garnish with some of that fresh whipped cream. Oh. My. Yum. Go Pro Tip: Use a really sharp knife and run it under hot water between slices. This tart is insanely rich. Like Bill Gates rich. So a small sliver goes a long way. Top with whipped cream, serve, and try not to die of ecstasy. 1. 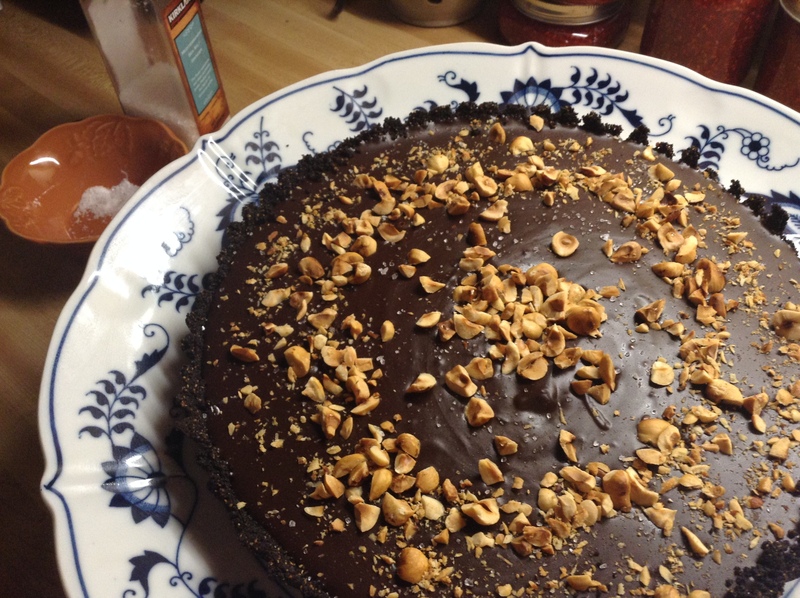 Heat your oven to 350°F and spread out the hazelnuts on a large rimmed baking sheet. Roast them in the oven, shaking the pan occasionally, until the skins are very dark, 10-20 minutes. 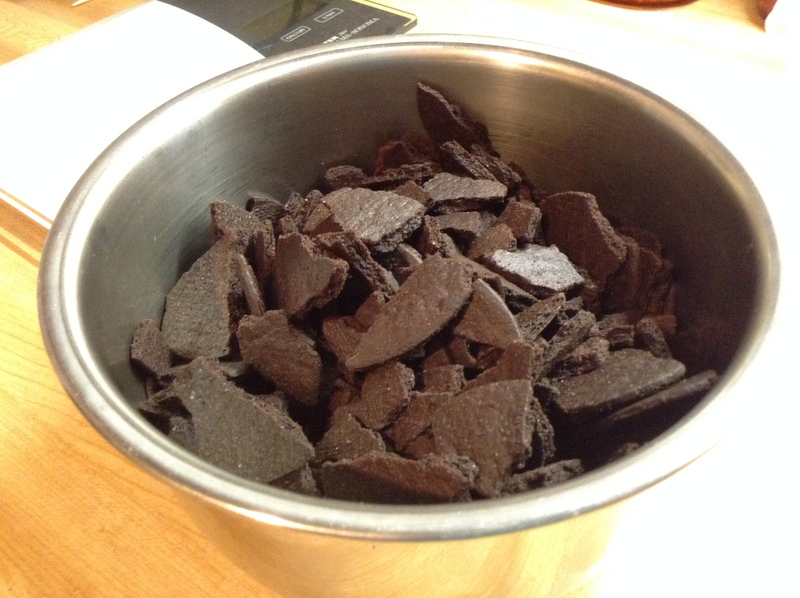 Remove from oven when they are fragrant and the skins are dark. 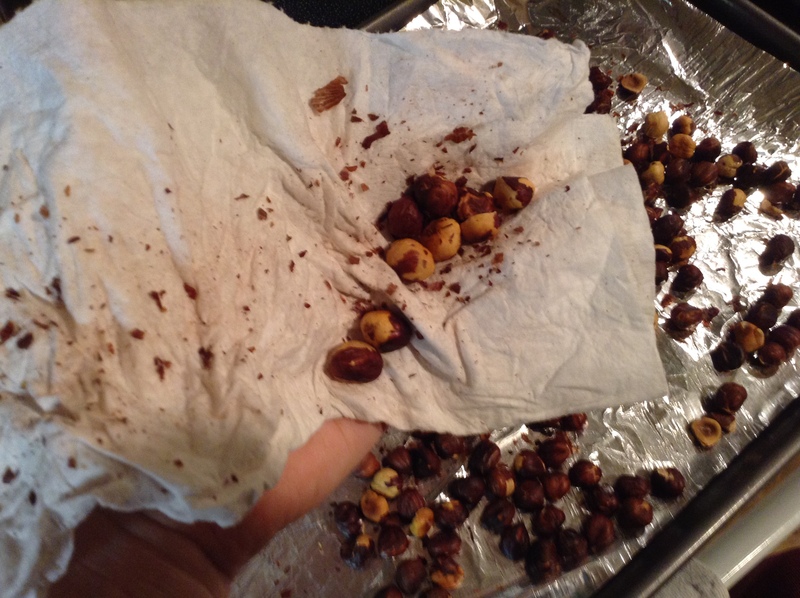 While still warm, rub the hazelnuts together in a towel to remove the skins. 2. 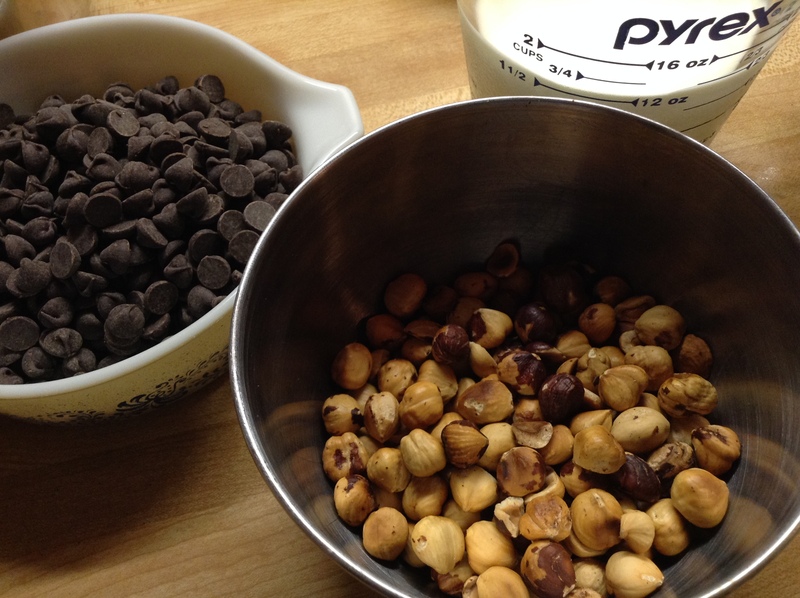 In a food processor, grind 1/2 cup of the hazelnuts along with the chocolate cookies and melted butter until finely ground and fully combined. 3. Firmly press the mixture into the bottom and up the sides of a 9-inch removable-bottom tart pan. Bake at 350°F for 10 to 15 minutes. Use the back of a large metal spoon to repress if crust puffs up. Let cool on a wire rack. 4. 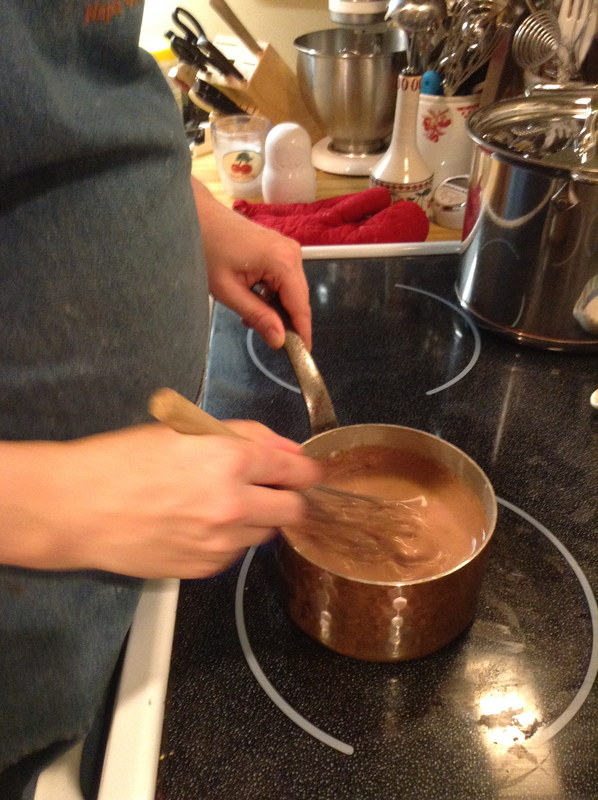 In a heavy-bottomed sauce pan over medium-high heat, warm 1 1/2 cups of the heavy whipping cream. Do not boil; whisk frequently. Once hot, remove the pan from heat and add the chocolate plus 1/2 tsp of the vanilla, whisking constantly until well combined. 5. 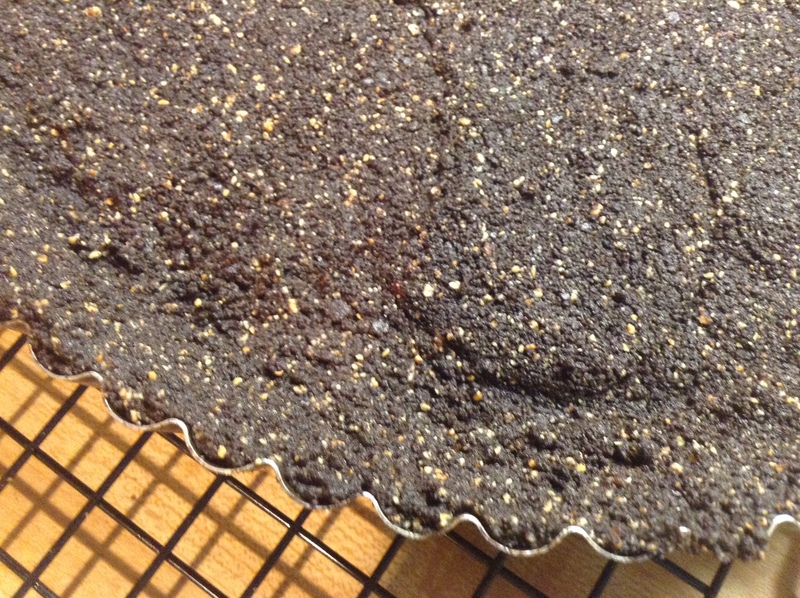 Pour into the cooled tart crust; transfer to the refrigerator to set, about an hour. 6. 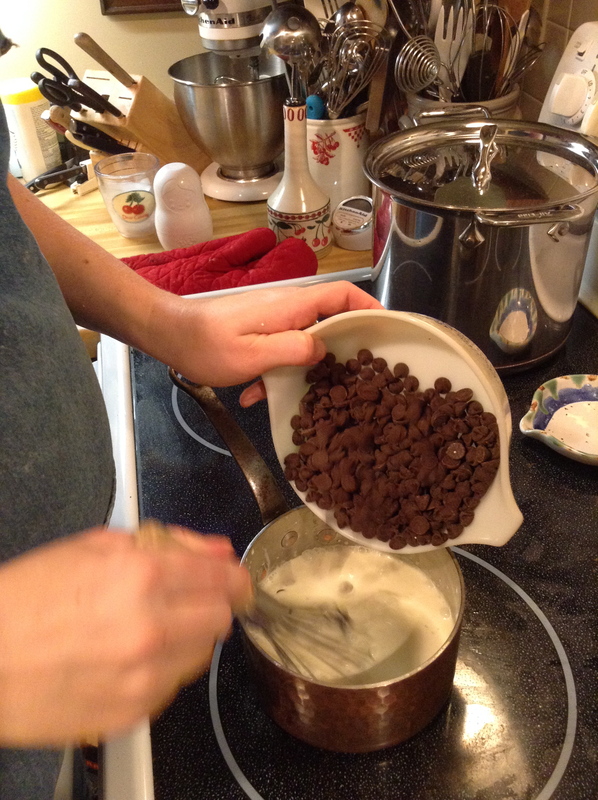 Pour the remaining 1/2 cup of heavy whipping cream into the bowl of a standing mixer. Add sugar and remaining vanilla. On high speed, whip the cream until stiff peaks form. Refrigerate until ready to use. 7. Chop the remaining 1/4 cup nuts. 8. Remove the cooled tart from the pan. Garnish with chopped nuts. Just before serving, sprinkle each slice with sea salt and top with whipped cream. 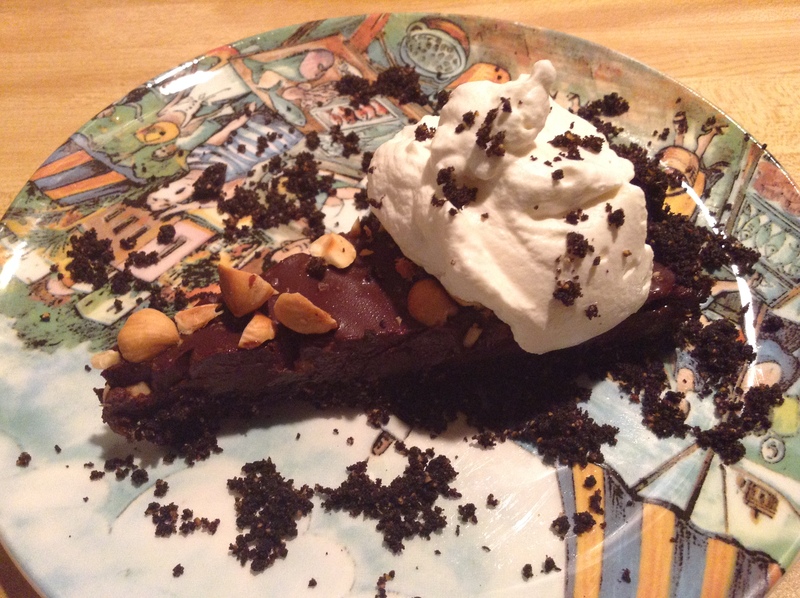 Posted in Desserts and tagged chocolate ganache, hazelnut, sea salt, tart, whipped cream. Bookmark the permalink. I’ll have the salad, but grilled. Sweet molasses! There’s orange peel in my cookies!